It's a promising trend that's showing signs of persisting rather than slowing down. But there are some troubling aspects about it too. According to a new report from GTM Research – Greentech Media’s market analysis and advisory arm — solar prices are continuing to drop, and there aren’t any indications that the trend is slowing down. In fact, GTM has predicted that by 2022, average global solar project costs will be down by around 27%, which is equivalent to an annual decline of approximately 4.4%. GTM also says the decline in cost is not exclusive to the U.S. It’s happening all around the world and in some locations, the price decrease is even higher than what’s being experienced in the U.S. The figures were derived from a new PV system pricing forecast developed by GTM Research solar analyst Ben Gallagher. It’s not just the numbers that are significant; it’s the reason behind those numbers as well. Gallagher believes the drop in cost is being driven by the reduction of all related costs, including that of tools, materials and manpower. At present, solar cost is at its lowest in India — 65 cents per watt. So far, that’s the lowest record in the entire world. China offers the second lowest cost — $0.80 per watt. 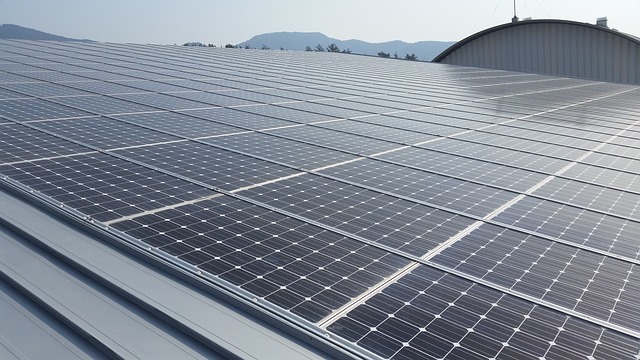 On the other end, solar energy is most expensive in Japan — $2.07 per watt. Apparently, it’s because there’s more ‘engineering scrutiny’ involved owing to the incidence of earthquakes, heavy winds and mountainside erosions. In the U.S., it’s $1.10 per watt and in the U.K., it’s $1 per watt. The decline in cost is mostly beneficial to almost everyone, of course. Especially because we are in desperate need to transition to clean and sustainable energy, and what’s primarily deterring consumers from shifting is the perceived high price of solar energy. We said ‘mostly beneficial’, though, because there’s a downside to it too. Lowering the cost of solar power makes it more attractive. However, the dynamic sometime may come at a price. As stated in the report, India was able to achieve that low price primarily because of the low labor cost involved, paying their ‘labor force and engineers next to nothing’. And then there’s also the worry that in their attempt to keep production costs at a minimum, there might be a tendency to ‘cut corners’, make use of low quality materials and do stuff in a substandard way. We know that’s never a good thing because it compromises the safety of the structure built and the quality of its output. So while declining solar power costs are welcome news, we should also be wary about the way it’s being achieved. We do want to keep our planet from deteriorating further, but we have to make sure it’s done the proper way — through resourcefulness, innovation and technological advancements, and never through oppressive, dishonest and unscrupulous practices.